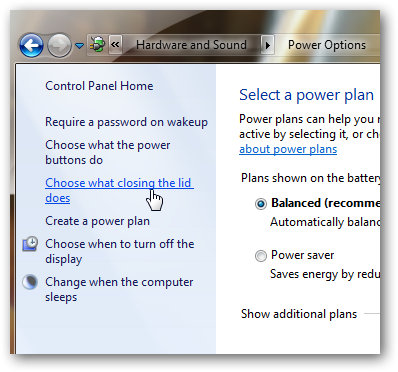 A laptop running Windows 7 can be configured to go to Sleep, Hibernate or even shutdown upon closing the lid of the laptop; here is how you can set it. At the same time, the power button on the body of the laptop (or desktop), the sleep button on the keyboard can be configured too. Not only that, you can set separate action when the laptop is running on battery or on AC power. Suppose, you can set your laptop to Hibernate when you close the lid of the laptop while you are using battery and Shut down when you close the lid of the laptop when the AC power cable is attached. This Article Has Been Shared 8691 Times! Learn how restore to backup from Windows Vault, which automatically saves all the user logon data credentials. 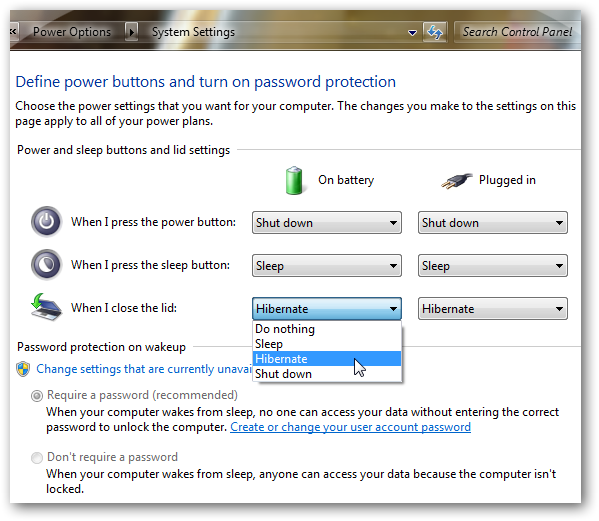 Cite this article as: Abhishek Ghosh, "Set your Windows 7 to Shutdown,Sleep or hibernate on closing the lid of your Laptop," in The Customize Windows, December 31, 2010, April 25, 2019, https://thecustomizewindows.com/2010/12/set-your-windows-7-to-shutdown-sleep-or-hibernate-on-closing-the-lid-of-your-laptop/.